The event is aimed to celebrate the best of Italian design and is intended to be a prestigious display for Italian brands and high-end Made in Italy products. Miami Design District – the luxury and design hub of the city – will be the location of the 2 day-event that will take place on May 15-16, 2019. 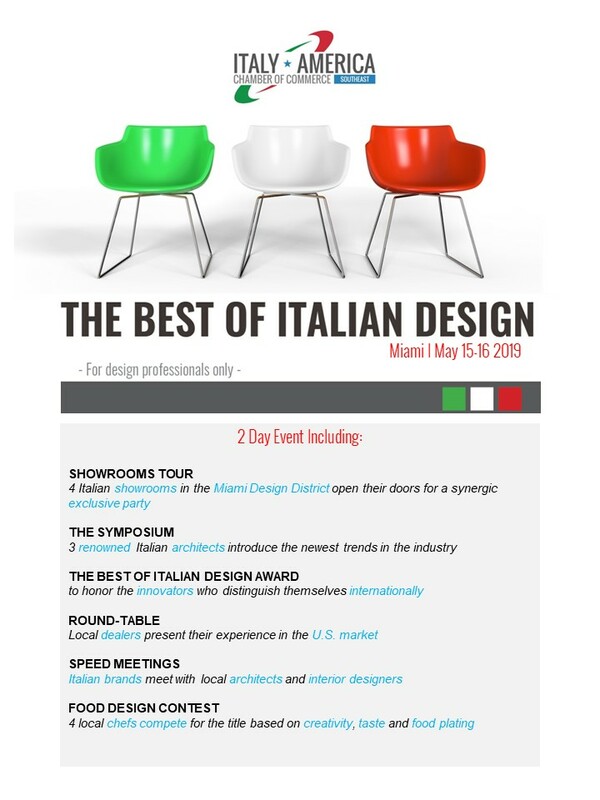 The event is addressed to Italian design companies that want to introduce their products to a wide range of local architects, interior designers, buyers and contractors. Local journalists and lifestyle bloggers will also take part in the initiative. 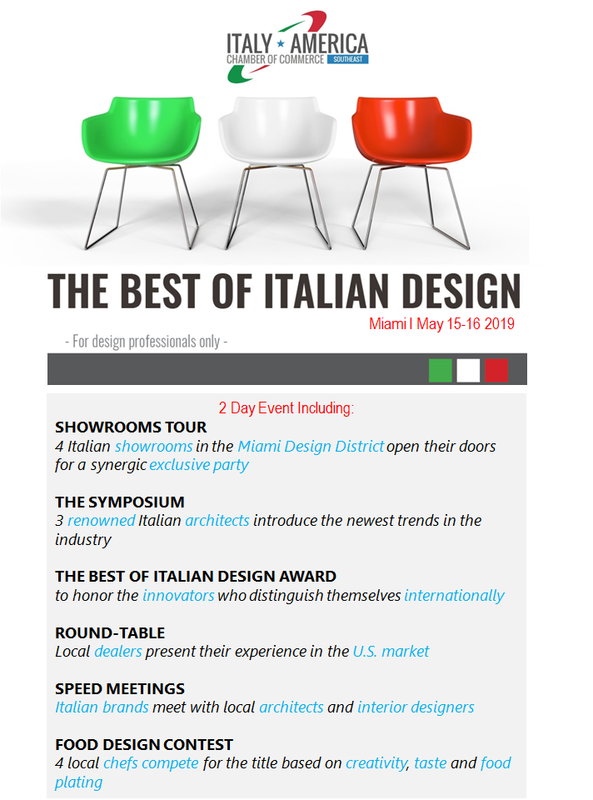 On the first day of the event, 4 Italian furniture showrooms located in the Miami Design District will open their doors for an exclusive synergic party to discover the Italian design innovation. Product previews will be presented by showroom managers and directors. The night will also include a food design section, in which a contest among 4 of the top Italian chefs – one in each showroom – will take place. The 4 competitors will lead a food design demonstration to create a unique dish combining food and design. On day two, there will be a symposium featuring 3 renowned Italian architects and furniture dealers. Round-table and speed-meetings will later facilitate the introductions between sponsors and local architects. Companies that participate as a sponsor will have a unique opportunity to gain visibility, promote their products and approach the US market with the advantageous support of the IACC Miami.